The crossover utility vehicle category is jam packed with versatile and well-rounded vehicles, which can make it tough to decide on your next ride. At Hiley Subaru, we know that the new 2017 Subaru Outback is a great choice and comes loaded with cargo-carrying versatility, spacious interior comfort, go-anywhere standard all-wheel drive, and the latest in automotive safety. 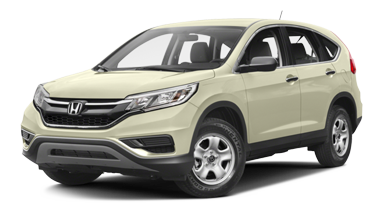 How does it compare to one of its closest competitors, the 2017 Honda CR-V? Keep reading to find out, then head to Hiley Subaru to see the impressive new 2017 Subaru Outback for yourself! 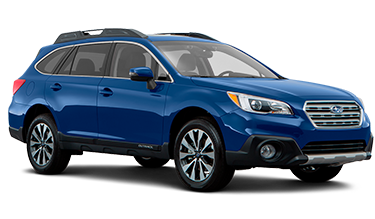 Though the measurements of the 2017 Subaru Outback and the 2017 Honda CR-V are similar, the outstanding design of the 2017 Subaru Outback adds another dimension to your driving experience. When it comes to cargo capability, the 2017 Subaru Outback features standard roof rails and integrated crossbars, which means you won't have to sacrifice any of the comfortable interior space. Even with similar dimensions, Subaru Outback gives you 2.2 more cubic feet of passenger space than the Honda CR-V, which allows you to enjoy stretch-out and features like the Starlink Multimedia System, soft-touch surfaces, and much more. The 2017 Subaru Outback and 2017 Honda CR-V may appear neck-and-neck on paper but when it comes to real world performance in places like the Pacific Northwest, the 2017 Subaru Outback can't be beat. True, the Honda CR-V is rated at higher horsepower and torque but the lightweight design of the Subaru Boxer engine and Symmetrical All-Wheel Drive require less power to get the Subaru Outback moving. While front wheel drive systems like the one in the 2017 Honda CR-V are generally more efficient, the 2017 Subaru Outback and the 2017 CR-V both return 32 MPG on the highway. And, with 8.7 inches of ground clearance and the standard traction boosting X-Mode, there's no limit to where the 2017 Subaru Outback can go. When it comes to safety, the 2017 Subaru Outback has the edge over the CR-V. Subaru has continued to earn safety accolades year after year with its dedication to engineering the safest vehicles on the road and the 2017 Outback is no exception. With standard all-wheel drive, vehicle dynamics control, and available features like EyeSight Driver Assist, it's no wonder the Subaru Outback was a recipient of the 2016 IIHS Top Safety Pick +. The Honda CR-V has its own available suite of electronic safety features but thanks to the one-of-a-kind Subaru design, the safety advantage belongs to the 2017 Subaru Outback. Click here to view inventory.